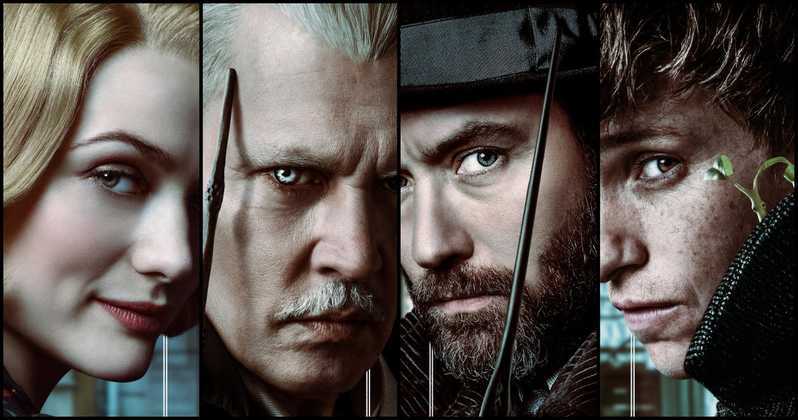 Fantastic Beasts: The Crimes Of Grindelwald is the second in the Fantastic Beasts series of the Harry Potter franchise and stars Jude Law as Albus Dumbledore who enlists his former student Newt Scamander (Eddie Redmayne), to thwart Grindelwald’s (Johnny Depp) plans of raising pure-blood wizards to rule over all non-magical beings. Newt accepts this assignment unaware of the dangerous consequences. Lines are drawn as love and loyalty are tested, even among the truest friends and family, in an increasingly divided world. As a fan of the Harry Porter Franchise, I will confidently say that this is the worst in the franchise. Unlike Fantastic Beasts And Where To Find Them, Fantastic Beasts: The Crimes Of Grindelwald was simply boring with no real character and falls way below the lofty expectations of us Harry Potter fans. The producers felt that by wowing us with fanciful CGI of Fantastic Beasts, we will be swayed to accept this film but what they failed to understand is that eccentric CGI is expected but we want more…and more we didn’t get. I have highlighted the upside of this film (which is the CGI) but I think the casts did a good job too. Zoë Kravitz is really coming to her own and Redmaybe was still his good old bumbling self. However, the characters did seem worn and this may be because of the weak plot which looked like a rip-off of every vampire movie since Blade or that the film was simply uninteresting, but we just seemed disconnected from them. Not even the magic of Johnny Depp or Redmayne was enough to salvage this film. The film seemed like they were basically setting us up for another installment and the last plot twist didn’t do much for me. It seems I am being too harsh on Fantastic Beasts: The Crimes Of Grindelwald but the truth is that we have come to expect a lot from the Harry Potter franchise and I felt let down. Am I just the ones that feels this way? Let me know in the comment section below or on Twitter and Facebook.